Mozilla has now fixed the QuickTime security flaw but says there's still an underlying problem at Apple's end. In its latest Firefox update, Mozilla has repaired the serious QuickTime bug we told you about last week. Firefox 2.0.0.7 fixes the way the open source web browser works with QuickTime media files. The problem reported last week meant that hackers could get access to run unauthorized commands on someone's PC without them knowing. 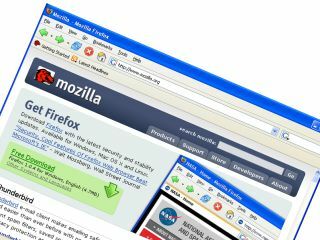 "This could be used to install malware, steal local data, or otherwise corrupt the victim's computer," Mozilla said in a security advisory. Mozilla said there is an underlying flaw in QuickTime that could still cause trouble for users. "QuickTime Media-link files could still be used to annoy users with popup windows and dialogues until this issue is fixed in QuickTime," the advisory stated. The QuickTime flaw also affects Internet Explorer but its stringent security policies means that the impact is less critical on Microsoft's browser.